Jacob de la Rose’s time in Montreal has come to an end as the Red Wings claimed him off of waivers on Wednesday. The Canadiens were forced to waive him on Tuesday once he had been deemed cleared to return. The 23-year-old has missed the entire regular season after having an elevated heartbeat following his final preseason appearance against Ottawa. That led to him starting the year on IR and the team has dragged out activating him as long as they could before making this move. De la Rose is coming off of his best NHL season as he posted 12 points in 55 games in 2017-18 along with averaging just under 12 minutes per game. His role was elevated following the trade of Tomas Plekanec and he fared well, collecting seven of his points in March/April while logging over 15 minutes per night. Clearly, management liked what they saw, inking him to a two-year, $1.8 million contract this summer, seemingly solidifying his place on the roster. 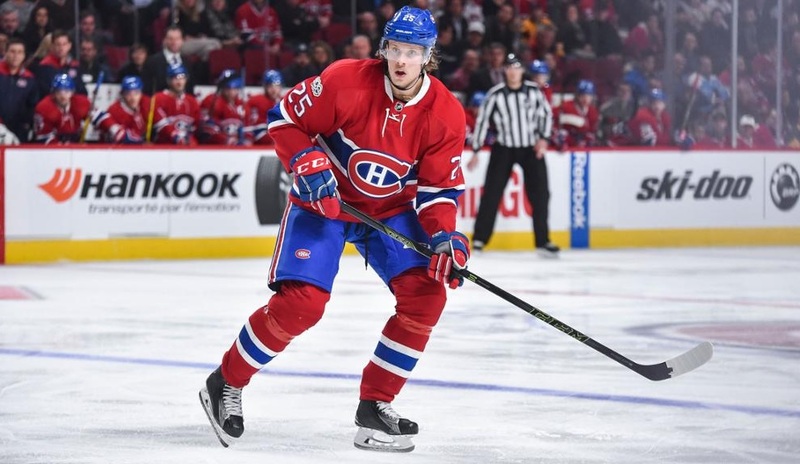 However, the return of Plekanec, the emergence of Matthew Peca, and Jesperi Kotkaniemi unexpectedly making the opening roster forced him out of that role. It was reported last week that the Canadiens were actively trying to make a move involving one of their depth forwards so it can’t really be suggested that there was a lot of trade value here. Unfortunately for Montreal, they’ve now lost him and with Nicolas Deslauriers expected to return soon, they’re going to be in this situation again before long.